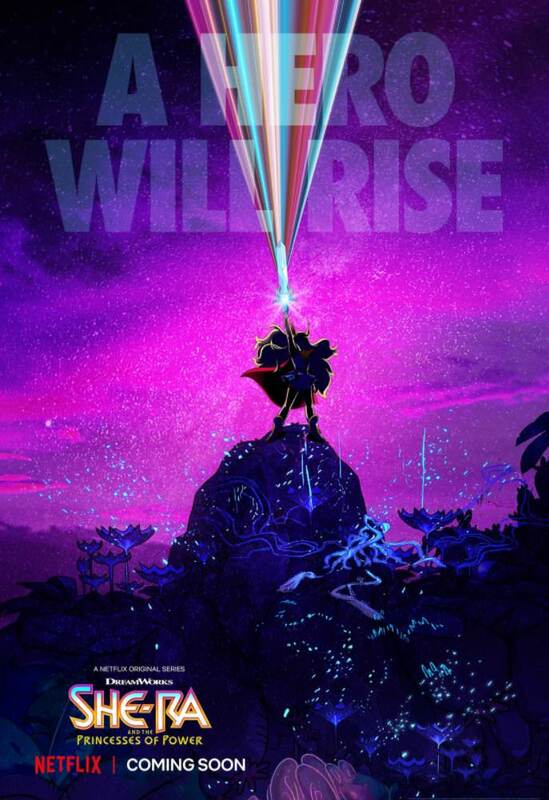 Both He-Man and She-Ra are poised for comebacks. He-Man is headed for the big screen with a film in production called Masters of the Universe. 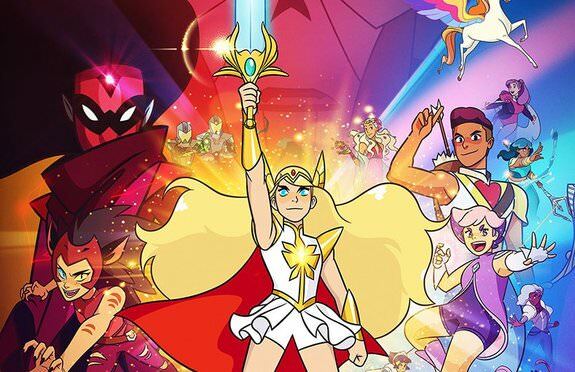 He-Man's twin sister meanwhile is getting a new animated series through Netflix called She-Ra and the Princesses of Power. 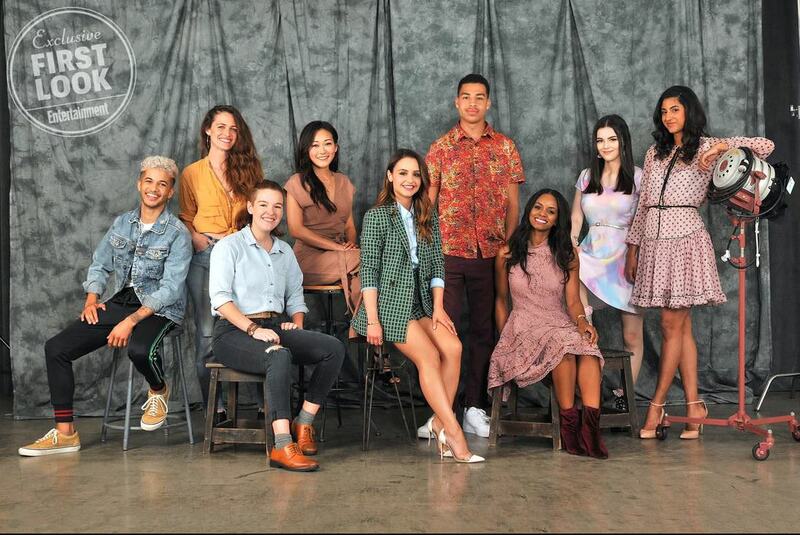 The series has released a poster and a picture of the cast. 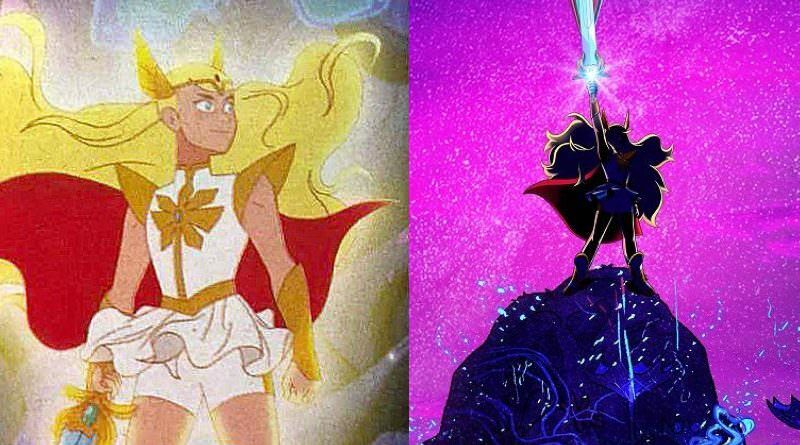 Some art has been shown of She-Ra and the new art is different than the 1980s art. The new art is more in the minimalist Adventures of Gumball style. 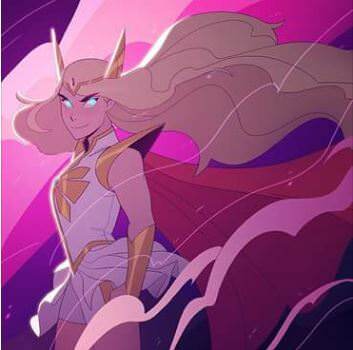 The general characteristics of She-Ra are still there though. She has her crown and cape, the symbol on clothes. It is just in a different style. I do think the show will encounter some criticism for this as there is a group of fans that have been lamenting the change of animation going toward a less details, more cartoony style. That said I every time period has its trends and this is the one for today. It will change in the future and I would urge people not to get overly caught up in such things. Yes you can have an opinion but this is a kids cartoon at the end of the day. The series is being produced by Eisner Award Winner Noelle Stevenson with a release date set to occur in the back half of 2018. She-Ra is being voice by Aimee Carrero known for her work on Elena of Avalor. The voice talents also many well recognized names from other shows. See below for a picture of the full cast. Toylab is a member of the Amazon Affiliate Program and is able to bring our fans the best deals on He-Man and She-Ra Merchandise directly from Amazon.